The saying more is less by the German-American architect Ludwig Mies van der Rohe inspired Claus Jakobsen and Jens Kajus when designing the Mies dining table. It is distinguished by its horizontal and vertical lines, which are in strict architectural composition. 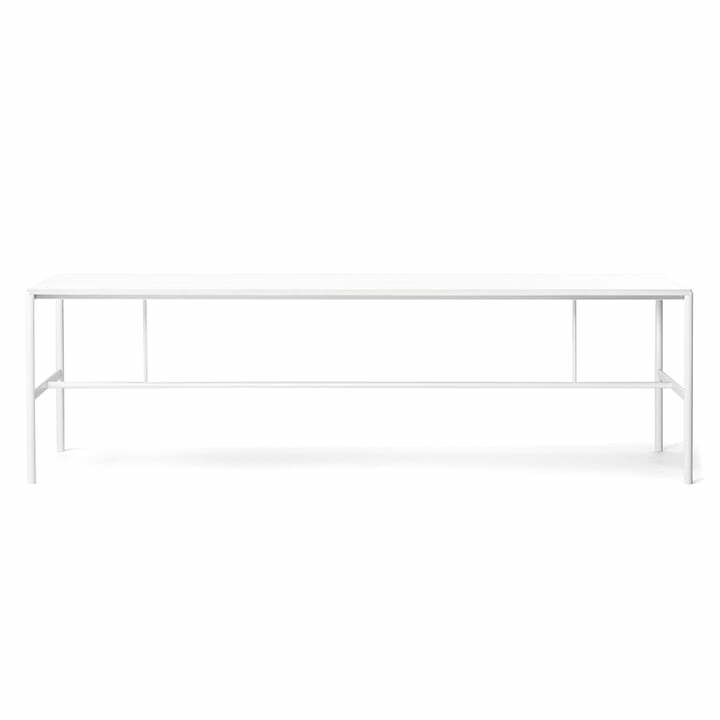 The combination of a powder-coated steel frame with a minimalist table top offers the Mies dining table by Claus Jakobsen and Jens Kajus an industrial look which is a real eye-catcher in any dining room. Up to six people can comfortably sit at the table, so nothing gets in the way of a cosy dinner with family or friends. The table can also be used as a desk, offering ample space to work comfortably. 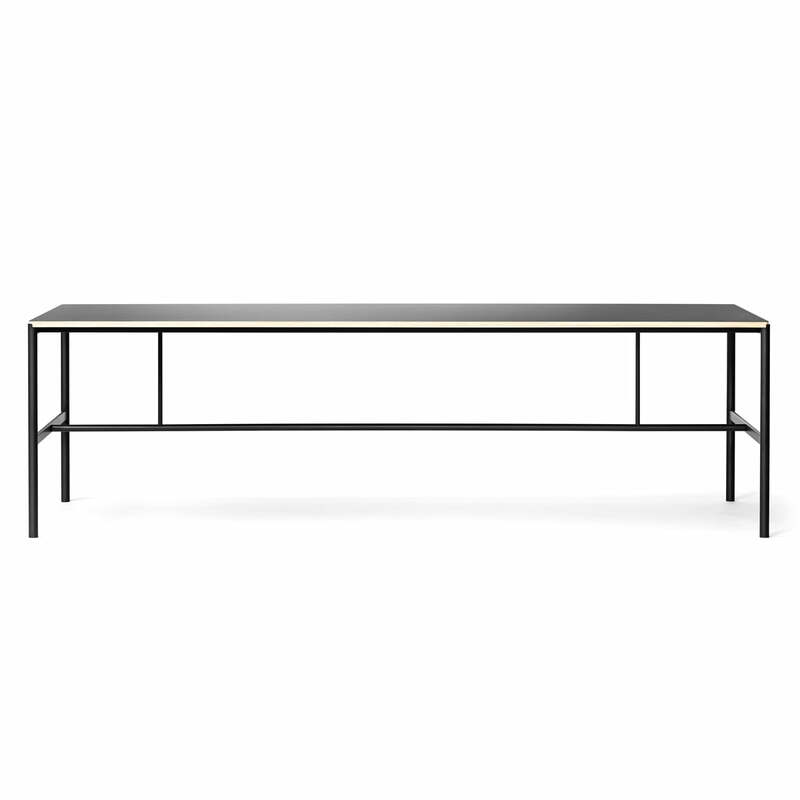 The Mies dining table by Million exists in various versions: A selection of different coloured frames, different coatings of the tabletop, and various table edges are available. Isolated product image of the Million - Mies dining table. The table has enough space for up to 6 people so it is perfect for cosy evenings with family and friends. Isolated product image of the Million - Mies dining table. The table can also be used as a desk, where there is ample space to work comfortably with all the work material at hand. 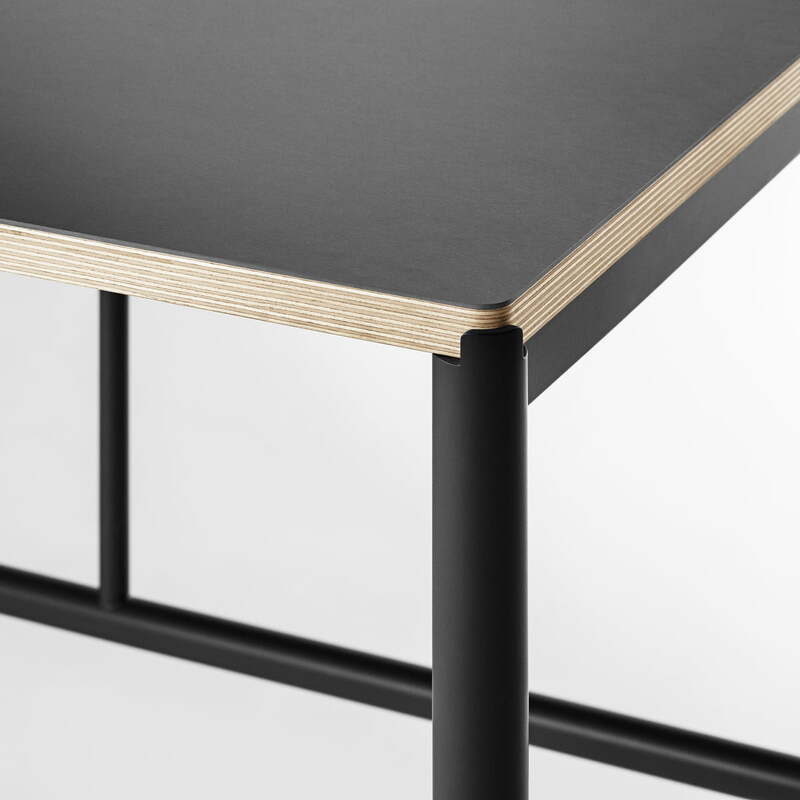 Detailed product image of the Mies dining table by Million. 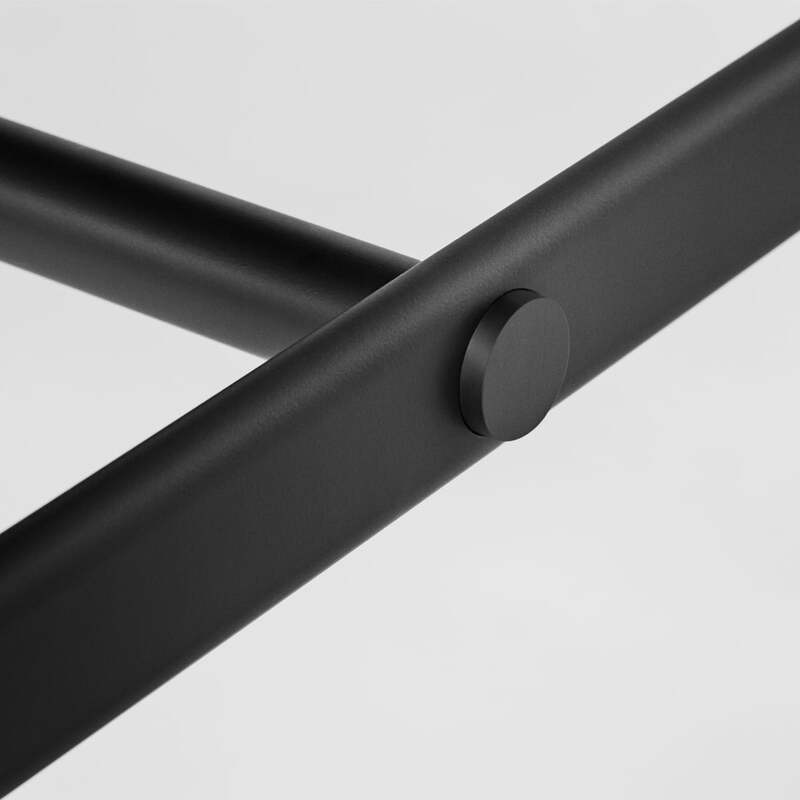 The powder-coated metal studs make up the design of the tables and provide industrial charm. 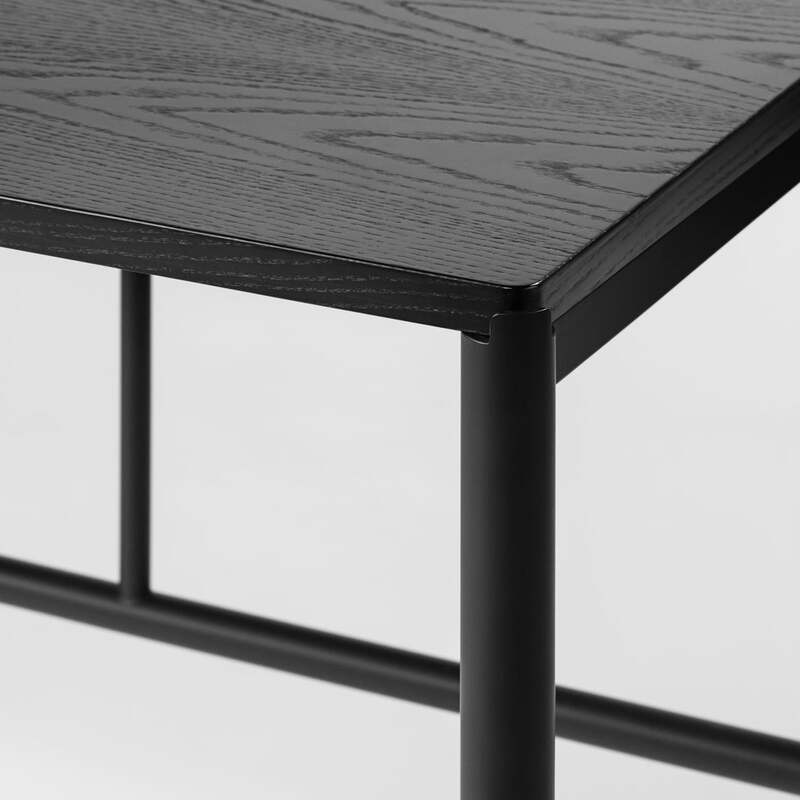 Detailed product image of the Mies dining table by Million. The saying more is less by the German-American architect Ludwig Mies van der Rohe inspired Claus Jakobsen and Jens Kajus when designing the Mies dining table. 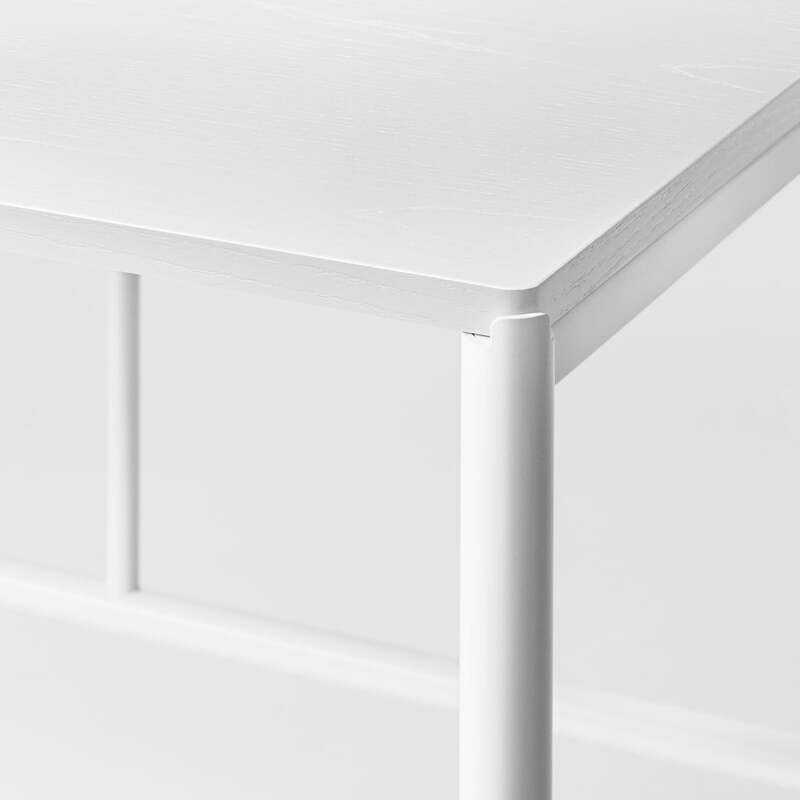 Detailed product image of the Mies dining table by Million. Horizontal and vertical metal struts make up the composition of the dining table which offer it an industrial style. Isolated product image of the Mies dining table by Million. The powder-coated metal frame with its architectural lines provides the industrial character of the large table. 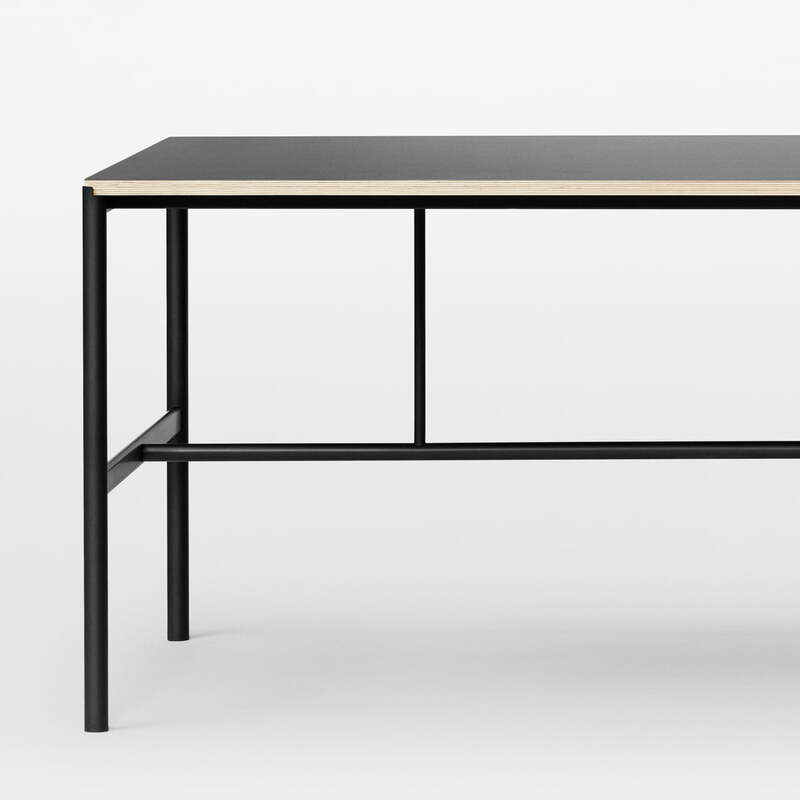 Detailed product image of the Mies dining table by Million. The bright edge of table forms a strong contrast to the dark tabletop of the Mies dining tables. Detailed product image of the Mies dining table by Million. It is distinguished by its horizontal and vertical lines, which are in strict architectural composition. 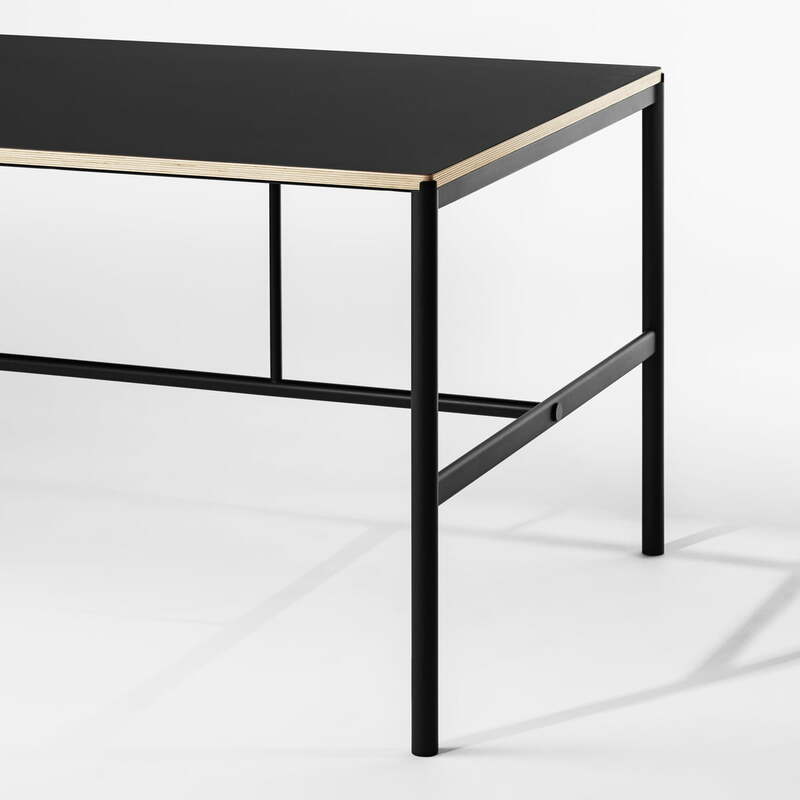 Detailed product image of the Mies dining table by Million. The combination of a powder-coated steel frame with a minimalist table top offers the Mies dining table by Claus Jakobsen and Jens Kajus an industrial look which is a real eye-catcher in any dining room. Lifestyle product image of the Mies dining table by Million. Used as a desk, the Mies dining table offers dining table space for all necessary work materials. 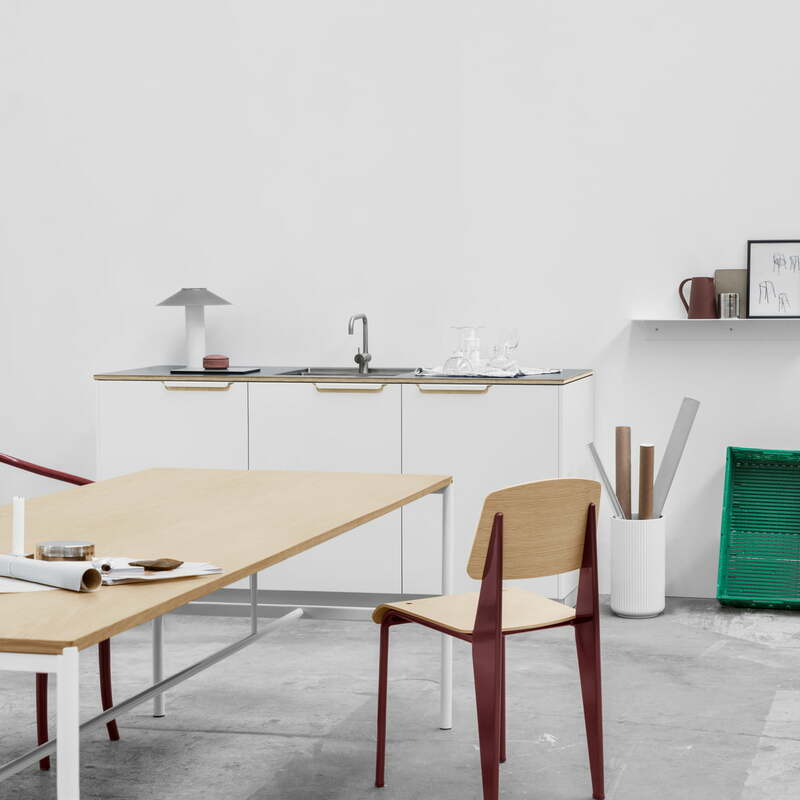 The table is complemented by the Arise stool. 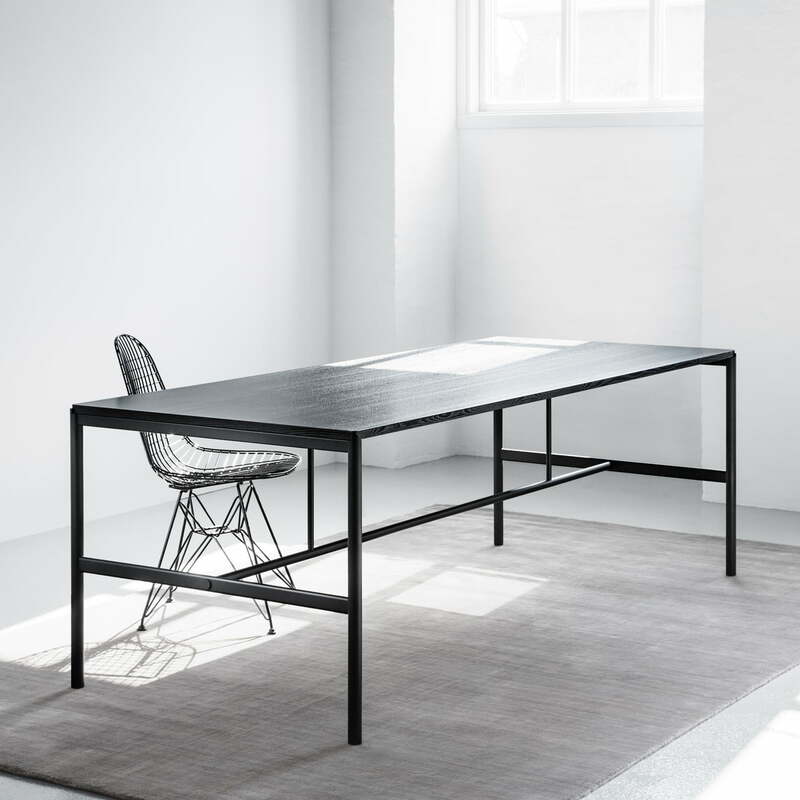 Lifestyle product image of the Mies dining table by Million. 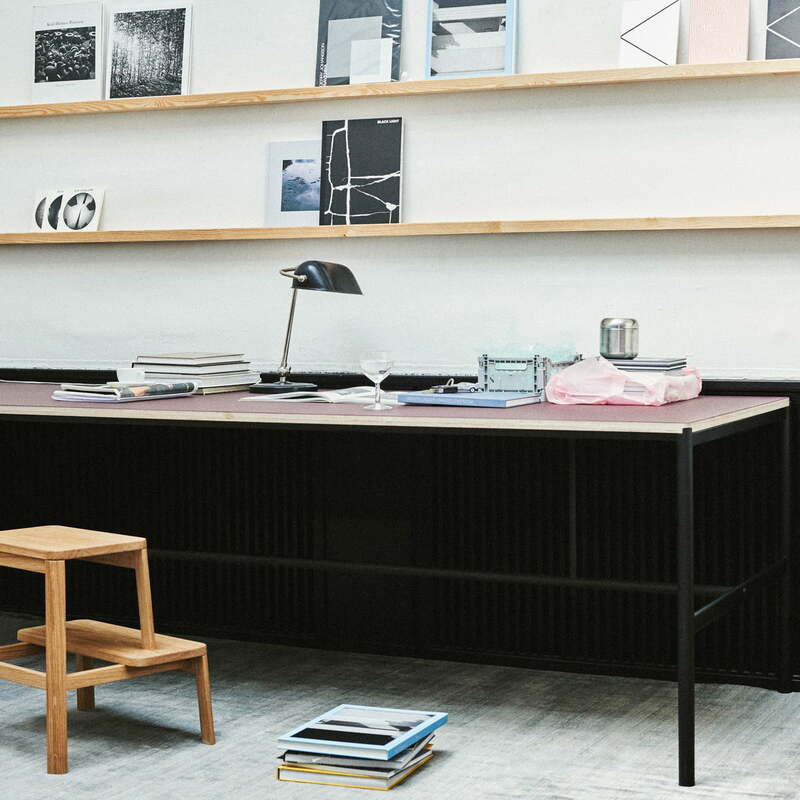 The table offers plenty of space to work in your own four walls due to its generous dimensions. Lifestyle product image of the Mies dining table by Million. Whether as a classic dining table or as desk to work on, the generous table by Million can be used for both. Lifestyle product image of the Arise stool with the Mies dining table. 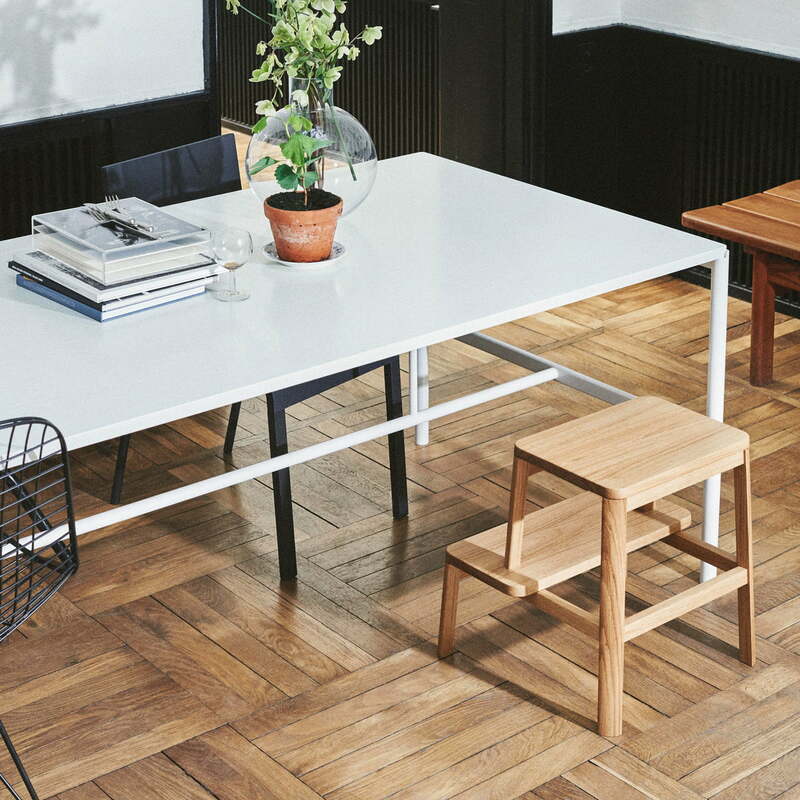 Claus Jakobsen and Jens Kajus, the founders of Million have the chairs manufactured in Denmark out of solid oak.